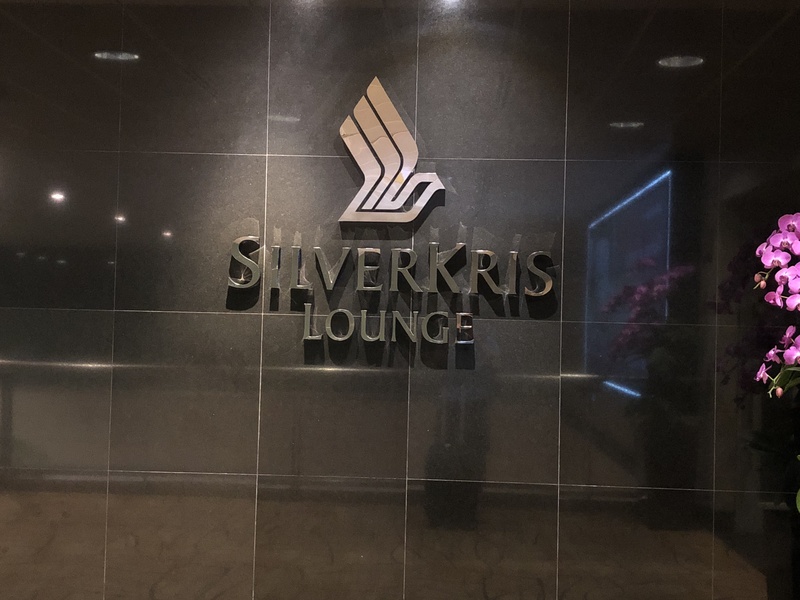 This review will be fairly short because the lounge only has a few other features from the SilverKris Lounge in terminal 3 and all the food was the same as well. 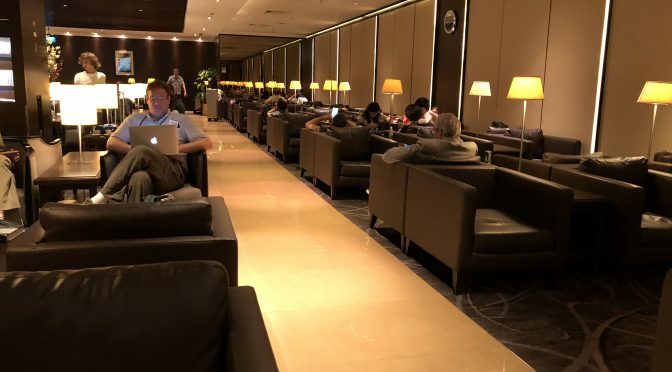 Immediately upon entering the T2 lounge, you turn left into the business class part of the lounge. 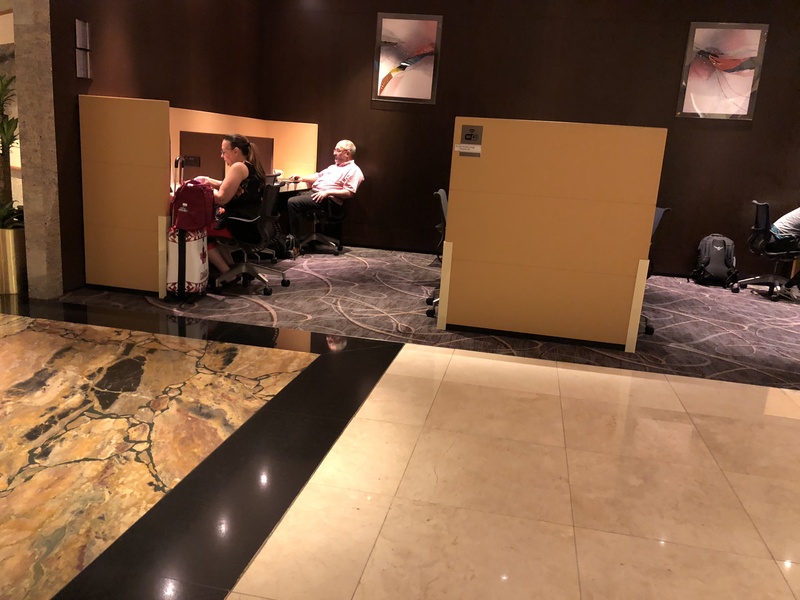 Upon entering the business class lounge, you turn left and will see an office cubicle style space for working. 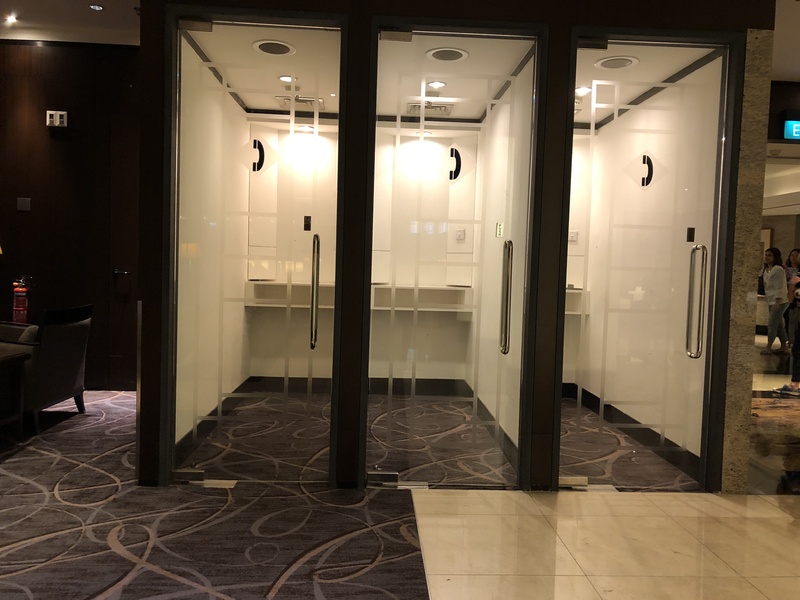 Then walk forward some more and on the left, there are several dining tables followed by the buffet area. 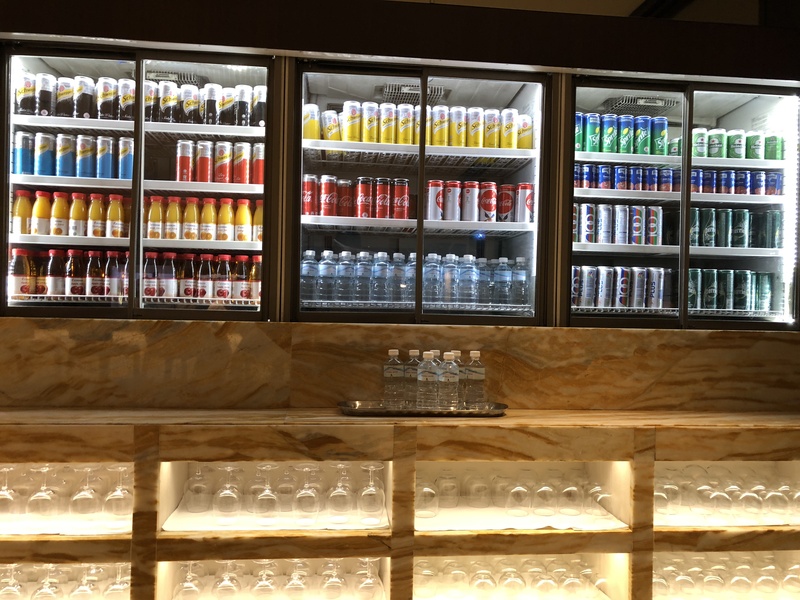 And unlike the T3 lounge where the food is in one area and the drinks in a completely different area, here the drinks and food are right next to each other. 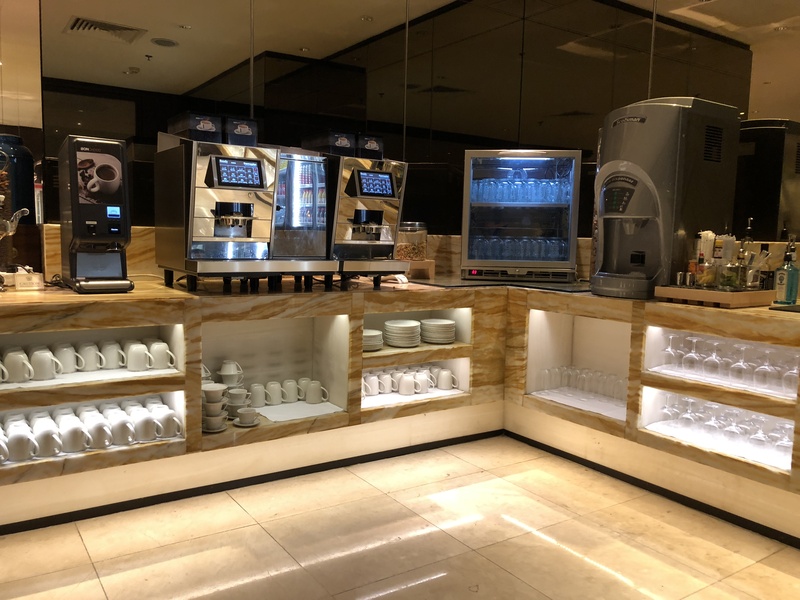 Now as I said, I won’t go into the details of the food because it was exactly the same as what was in the lounge in terminal 3’s SQ lounge. 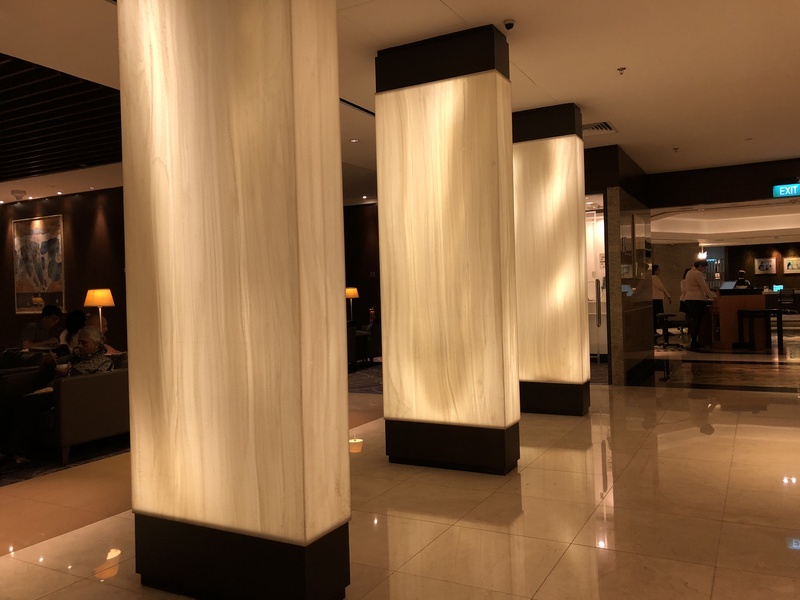 And now this is back facing the entrance to the lounge. Now there was a good amount of seating options, though the lounge was quite crowded so my pictures are rather conservative. 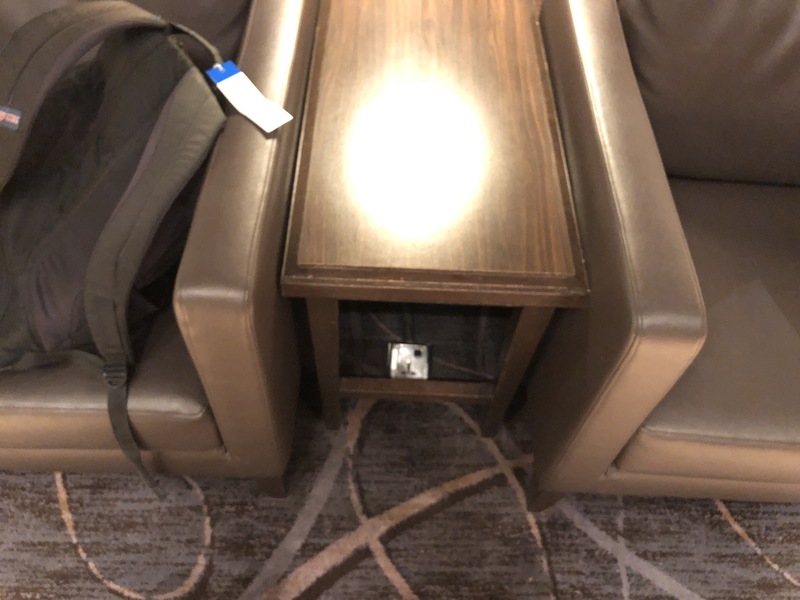 First, there are lots of individual and pair seats and each of them had power ports to charge devices. 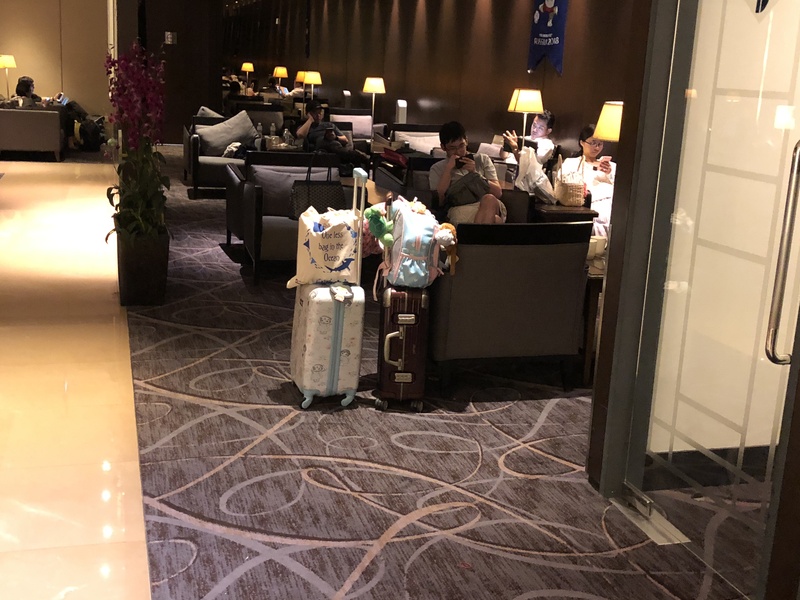 If you keep walking further back, there were more rows of seating and most of which were occupied. 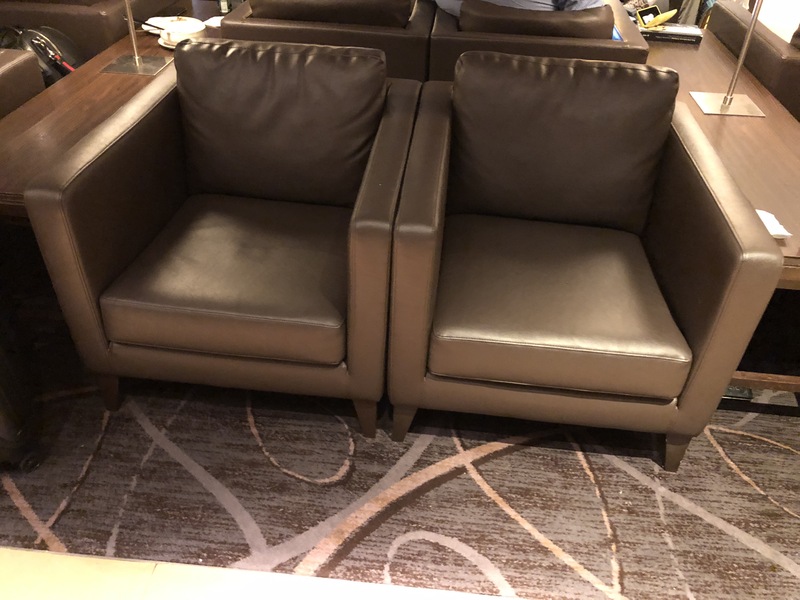 This is what a pair seat looks like and to the side by the table there were power ports. 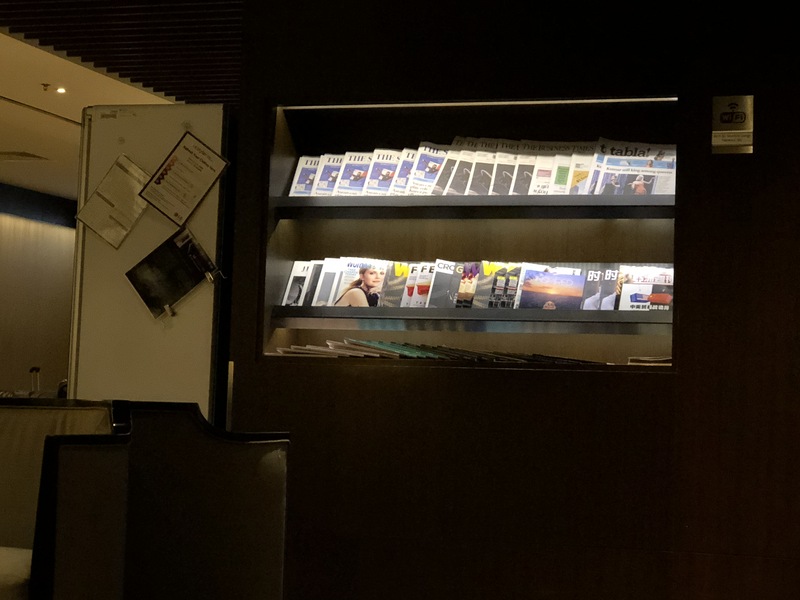 There was also a rack with the newspaper for the day and some recent magazines. Finally, by the telephone booth seen earlier, there was kind of a closed off area with some more seating but it was fairly occupied. 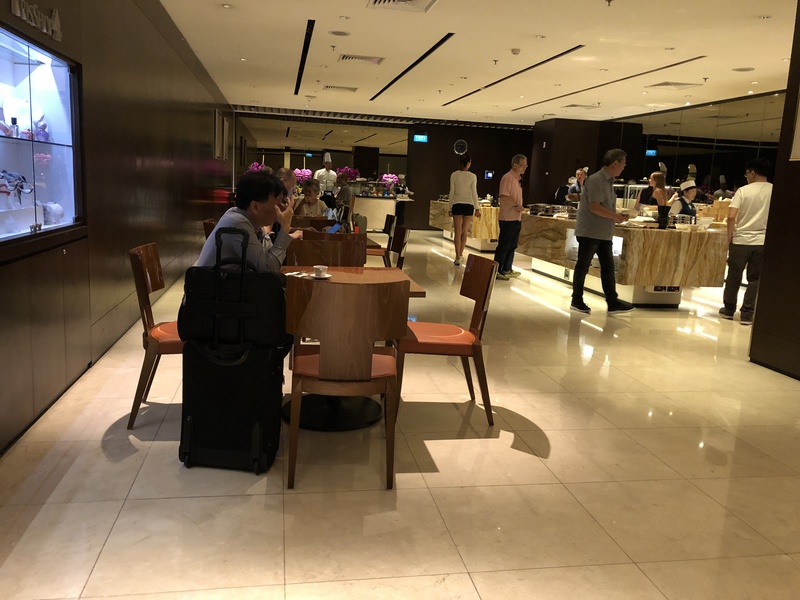 Overall, this review was fairly short, but the lounge was not that big, the food was exactly what was in the T3 lounge, and there were not nearly as many distinguishing features in the T2 lounge as there were in the T3 lounge. 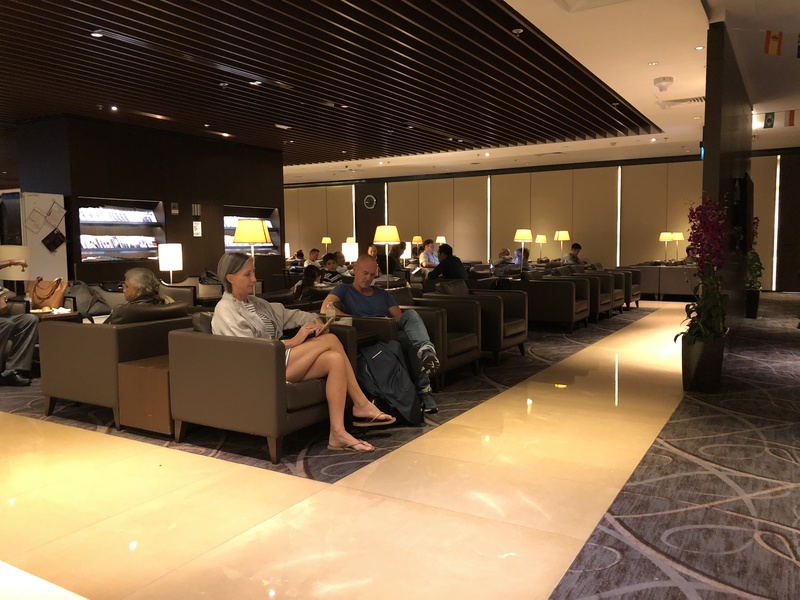 But in terms of the lounge itself, it was decent and served all the needed functions. 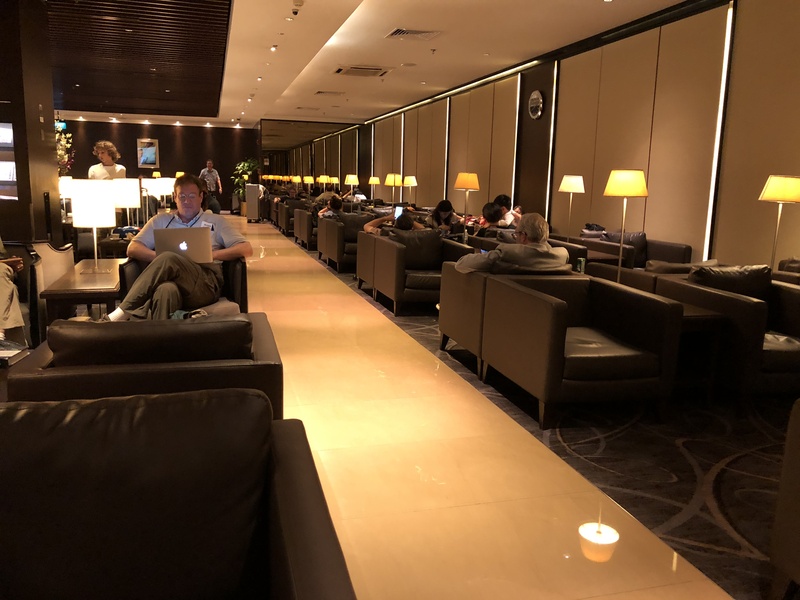 There was lots of food, drinks, the wifi was fast, there was power ports at most of the seats, and it was relaxing, as a lounge should be. Hope you enjoyed and stay tuned for the rest of the reviews coming. soon. Cheers!